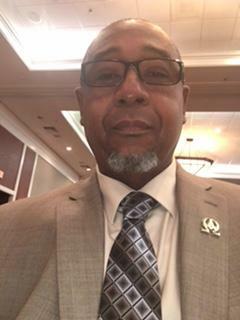 State of MS Omega Psi Phi Fraternity, Inc.
Greetings Brothers of State of MS Organization of Omega Psi Phi Fraternity, Inc.!!!! Thank you for your confidence in allowing me to serve as your State Representative. I plan to focus the first year of my administration on three objectives. Objective number one is a campaign entitled “Bring a Brother Home”. We have over 2035 reclaimable brothers residing in MS. Our financial strength is around 750 brothers. I believe if each financial brother starts now working on reclaiming one brother by showing themselves friendly, by December 31, 2017 our financial strength would be between 1200 to 1500 brothers. 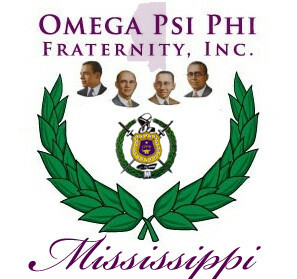 This is very doable if every brother in The State of MS Organization puts forth an effort to make it happen. Secondly, we need to be more inclusive with the undergraduate brothers in The State of MS Organization. We are looking to have an Assistant State Chaplain, Assistant State KRS and an Assistant State KF all being undergraduate brothers. This will allow for training and mentoring for undergraduates. We are also requiring all committee chairmen to include at least one undergrad to their team. The future of this great fraternity lies with us utilizing our most precious resource, our younger brothers!!!! Lastly, we are looking at using all communication hubs to keep the brothers in The State of MS Organization informed and engaged. We will have weekly Executive Team meetings, monthly conference calls with State Council Members, bi monthly conference calls with chapter Basileus and KRS as well as meeting with undergraduate advisors, undergraduate Basileus and graduate Basileus via conference calls at least twice a semester. We also plan to utilize Groupme and email blast to get information out to brothers in real time. Again, thank you to all the hard working brothers of this State Organization. With team work and comradeship, we will continue in being a bright Star in Omega. I am very reachable and approachable. Feel free at any time to reach out to me with any questions or concerns or advise. Remember, I am just BOWZER, Working Hard for Omega!!! !